How has Easter come around so fast! Was it not just Christmas…? 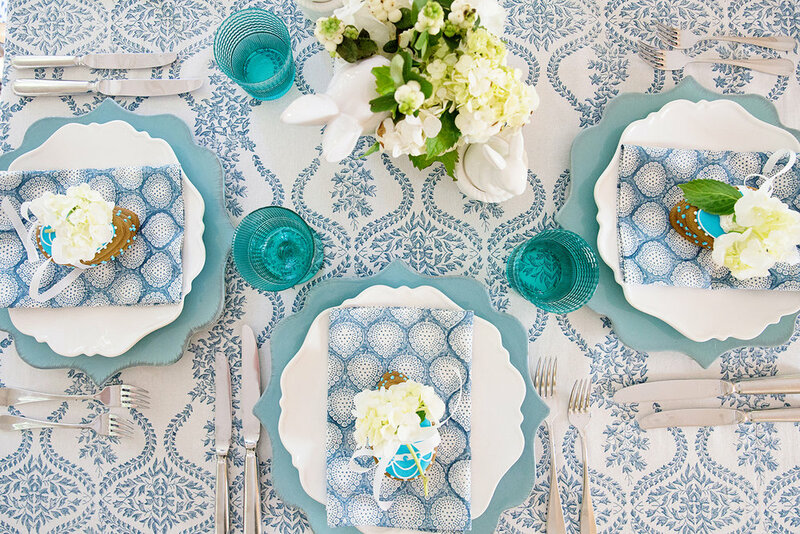 A table setting for a family gathering is always the focal point of Easter celebrations. Long lunches, family breakfasts - it’s the long weekend that revolves around food! So a pretty table for the main event is called for. 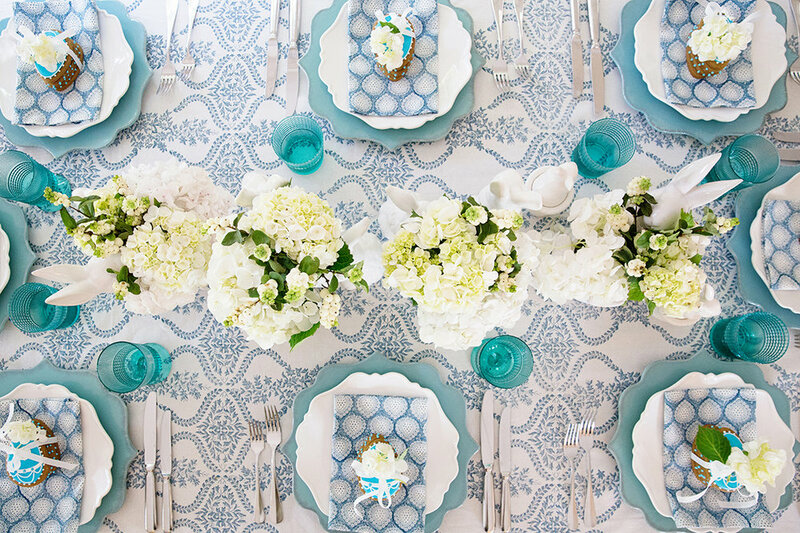 Wanting to show off this beautiful Canvas and Sasson block printed tablecloth, I based my easter look on this colour palette, keeping it light and fresh. 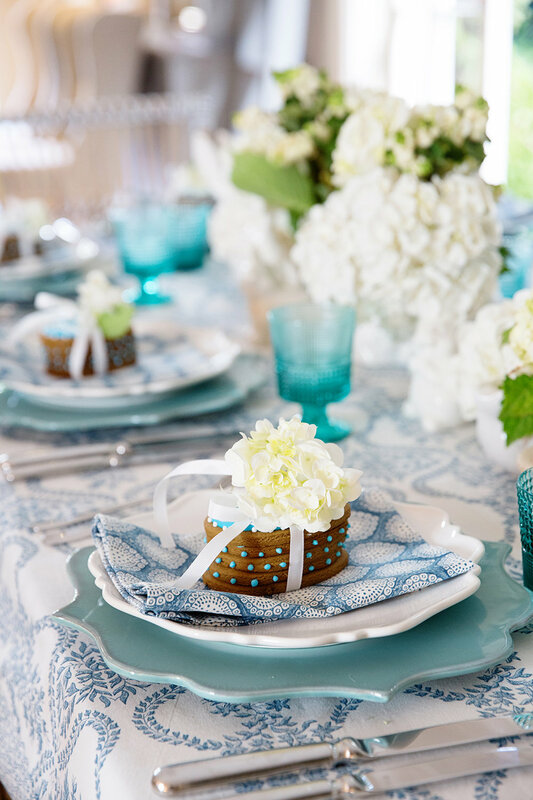 The white and blue, although not entirely matching throughout the table, can be seen in the plates, the glasses, the mismatched napkins and my collection bunnies holding the divine bouquets of hydrangeas, making this table soft and pretty. An Australian easter is in Autumn, so the weather is cooling down but with a few gorgeous warm days here and there, so a fresh light table suits the temperature as well as we get the most out of what is left of the sun. Depth, texture and height - the three essential elements when setting the table. For example - using two plates will create extra height and bring a 3D element to the table, using different styles of glassware but keeping to the same colour gives it a little up and down feel across the table. 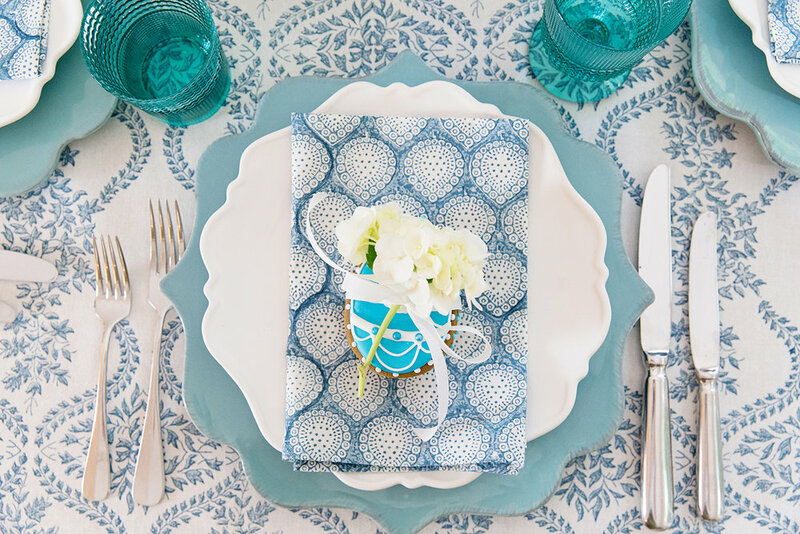 Napkins that don’t match your tablecloth create more interest and can reinforce other tones in your palette. It’s these small things that can bring out a little WOW! Every Easter I have to bring out my white ceramic bunny collection, it’s one I have collected over the past 15 years and adds an element of Easter fun to the table. Hydrangeas are perfection at this time of year and really soften this table; I am just in love it! Credits: Tablecloth by Canvas + Sasson, Gingerbread Biscuits by Sugar Rush by Steph.